An Athens resident is hoping to bring some guidance to the “fanciful” — and often “overwhelming” — world of Disney theme parks in her new book. Her family has visited Disney World in Orlando annually for more than a decade, giving her a plethora of knowledge on the parks and how to plan a trip to what is known as the “happiest place on Earth.” After giving tips to family members and friends about saving money and time at Disney World, Hina decided to share her knowledge with a wider audience. Hina’s expertise landed her a gig with Mickey Travels, a Disney vacation planning agency. As a travel agent, she is responsible for scheduling a family’s visit, ordering “FastPasses” (for quicker ride waits) and setting up dining reservations. Disney World is divided into four parks: Magic Kingdom, Hollywood Studios, Animal Kingdom and Epcot. Each offer unique attractions including rides, character visits and dining facilities. Between all the FastPass ride schedules, castle dinner reservations and more, Hina hopes to bring clarity to a planning process that can take months for some families. As a biology graduate from Case Western University, Hina said she never envisioned such a unique career change. 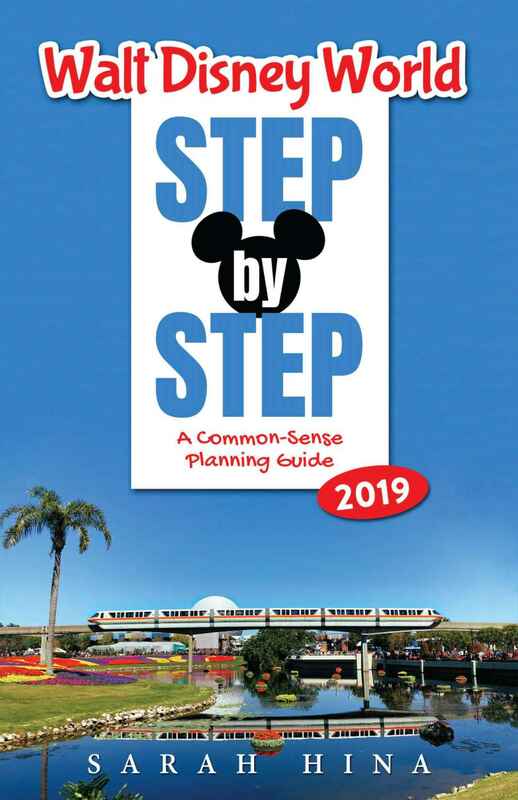 Now an expert of all things Disney World, Hina described being encouraged by her publisher to write a yearly edition of the guide. Originally published on A1 of The Athens Messenger on Feb. 10, 2019. In the face of tough circumstances, Jennifer Peterson feared that her children might not have the Christmas she wished for them this year. Delivering that sad news broke her heart, but after her husband lost his job she felt like they had no other options to afford Christmas presents. 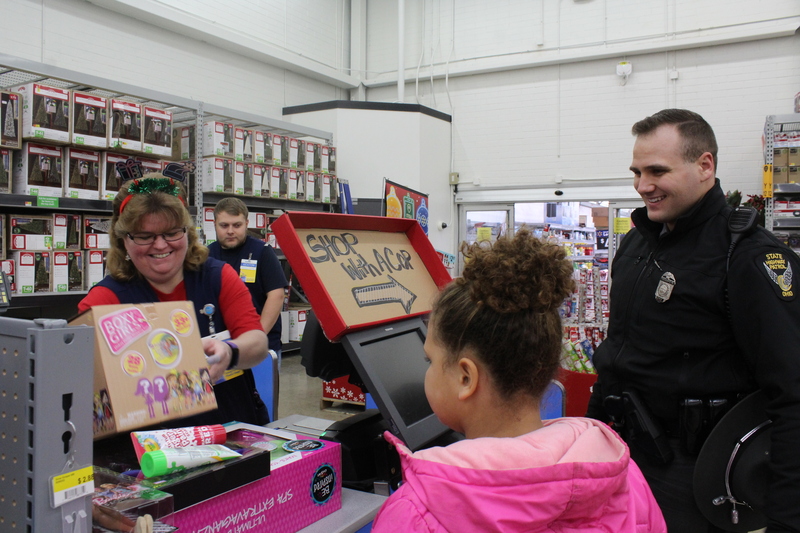 Fifty children in the Athens City School system and about 40 law enforcement officers and firefighters from neighboring areas gathered at Walmart on Sunday afternoon for the annual event. Each child was given a $100 gift card, funded jointly by the Walmart Foundation as well as Athens Police Department. Jennifer Peterson’s 8-year-old daughter milled through the toy aisles, eyes dancing between Barbie displays and Hatchimals tucked into their packaging. The third-grader was paired with a state highway patrolman. She weaved between shopping carts and other children, decisively pulling items from the shelf that she wanted. She did just that, spending the remainder of her stipend on gifts for her mom. When they approached the cash register, though, the items went over the allotted $100. Tackett pulled out his own wallet to pay for the extra amount. Following their shopping spree, kids hopped into firetrucks and police cruisers and rode down State Street — lights blaring and sirens flashing — to the Athens Community Center. Pizza, snacks and a visit from Santa Claus awaited them. The annual event is held each year in memory of Steve Kazee, a Walmart loss prevention officer who died in 2013. His family carried on his legacy of Christmas charity toward children, and they even helped raise some of the funds towards the kids’ toys. The first year benefited 18 children and has grown significantly in the years since. The goal for 2019 is to give this opportunity to 100 local kids, said Athens Walmart Manager Keith Adams. Children also learned the lesson that giving is a two-way street. As Peterson’s daughter approached Trooper Tackett on Sunday afternoon, the young girl handed him an ornament. It was tucked into a small stocking she and her mom had made for him. “Thank you so much,” he replied, kneeling down to shake her hand. Originally appeared on A1 of The Athens Messenger on Dec. 12, 2018. In a span of eight minutes, I learned how to save a life — and you can too. All it took was completing an overdose simulation in Ohio University’s GRID lab. By wearing oculus lenses which display 360-video, I felt all the emotions of anxiety and fear as simulated students searched frantically for Narcan to revive their friend. 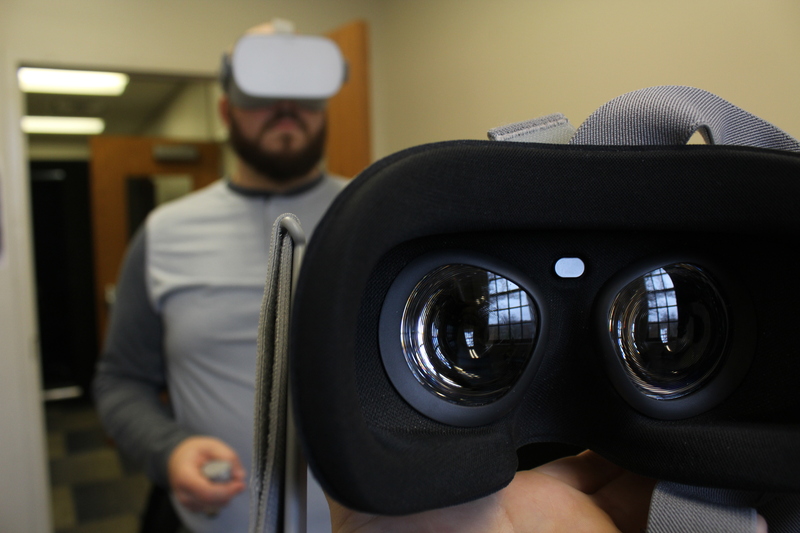 The immersive virtual reality video was created by professionals in OU’s College of Health Sciences and Professions in tandem with faculty and students in the Scripps College of Communication. Users put on oculus lenses and are immediately thrown into a situation that assistant professor of nursing Sherleena Buchman said is unfortunately all too familiar: a person (in this case, a student) is seen slumped over a chair with a needle in their arm. In the simulation, two of the student’s friends enter the dorm room and begin panicking. They search the room for any sort of anecdote and calling 9-1-1. The students hesitate at first to call the police, worried about getting in trouble, but the operator ends up giving detailed instructions on how to administer a life-saving drug: narcan. Narcan is a nasal spray used in to treat emergency cases of opioid overdose. The video was shot on an Insta360 Pro, allowing users to move their body and physically change their point of view in the room. The audio in the headset also shifts when the viewer moves to take in various parts of the scene: the students tear their friend’s room apart and bystanders watching from behind their phone screens. The goal, Buchman said, is to give non-health professionals instruction on how to save a life. In the past few years working in an emergency room, she said she has seen a significant increase of people bringing in overdosed friends or family members. The simulation ends with a detailed, close-up video on a nurse’s hands preparing and administering the life-saving drug. There was no cost associated with the project, said media professor Eric Williams, because the Game Research and Immersive Design (GRID) Lab had access to all the resources — the 360 degree camera and editing software — accessible from a previous grant. Under William’s tutelage, around six students were involved over the summer as editors and producers. The pilot project is currently being re-shot with new actors and is slated to be completed in December. Faculty plan to make 16 mobile viewing stations available in various places across the community, such as the Athens City-County Health Department. Eventually, Buchman said they plan to upload the video to YouTube and make it accessible for people across the country to use with their own VR viewing lenses. Originally published on A1 of The Athens Messenger on Nov. 23, 2018.